Hot springs are known to have very high mineral content that offer natural health treatment options for various common ailments. Check out the 8 best undiscovered hot springs in Colorado for your next fun and healthy retreat! Alpine Hot Springs Hideaway features a hand-built soaking pool with a 130+ degree water source with a specially engineered valve system that enables you to get the water temperature you desire. The home is surrounded by beautiful ponderosa pines and a year-round creek meanders through the property. 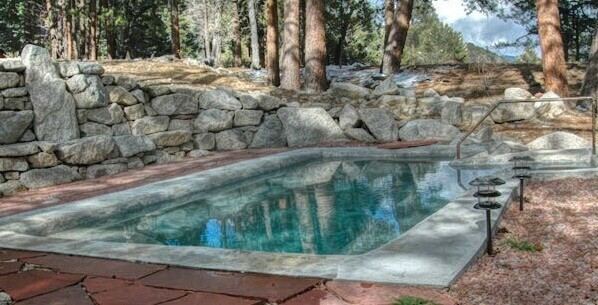 Best of all, you have your own natural hot spring soaking pool, right outside your door. Alpine Hot Springs Hideaway is located at 16185 Co Rd 162, Nathrop, CO 81236. Charlotte Hot Springs Resort is a family-owned luxury hot springs resort in Buena Vista, Colorado. 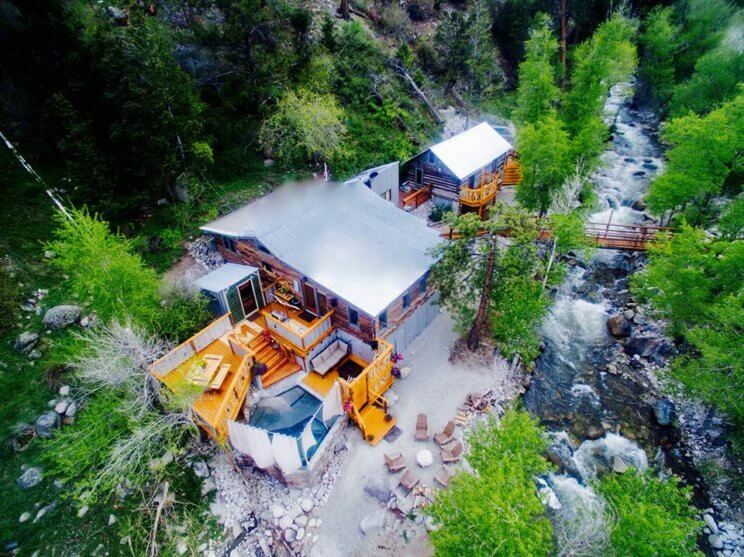 The resort features a renovated original 1800’s cabin, that was built by the Merrifield and Holloway families, on the border of Cottonwood Creek, nestled away in the mountains. Charlotte Hot Springs Resort is located at 19320 Co Rd 306, Buena Vista, CO 81211. Desert Reef Hot Spring is a natural mineral hot spring pool set in a desert oasis near the Royal Gorge in Colorado. During summer months, water temperature is maintained below body temperature. During winter months water temperature is maintained over 100 degrees. The blue hue of the water is directly connected to the mineral Travertine. Psst… Clothing is optional every day but Fridays! Desert Reef Hot Spring is located at 1194 Co Rd 110, Florence, CO 81226. Dunton Hot Springs Resort is a perfectly restored ghost town with hand-hewn log cabins that are exquisitely furnished, a life-worn saloon, trails, and hot springs. All meals, the hot springs, screening room, etc. are included. Dunton’s chef sources local organic foods, and vegetables from their own farm and vineyard. 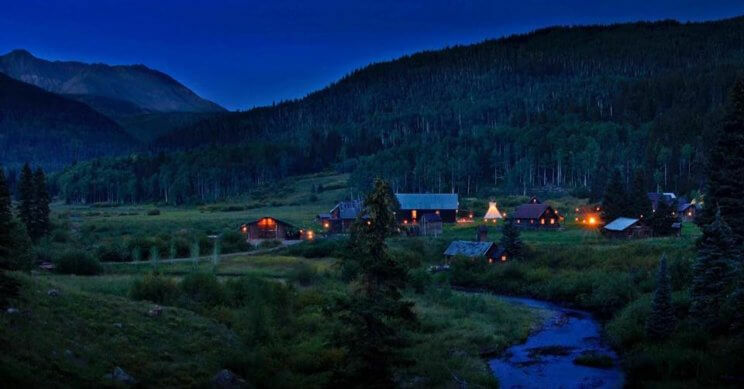 Dunton Hot Springs Resort is located at 52068 Co Rd 38, Dolores, CO 81323. Orvis Hot Springs offers seven soaking areas that range in temperature from 98 to 112 degrees. None of the waters are treated or artificially heated. Four of the soaking areas are outdoors, with an additional indoor pool and two private tubs. Orvis Hot Springs is located at 1585 Co Rd 3, Ridgway, CO 81432. 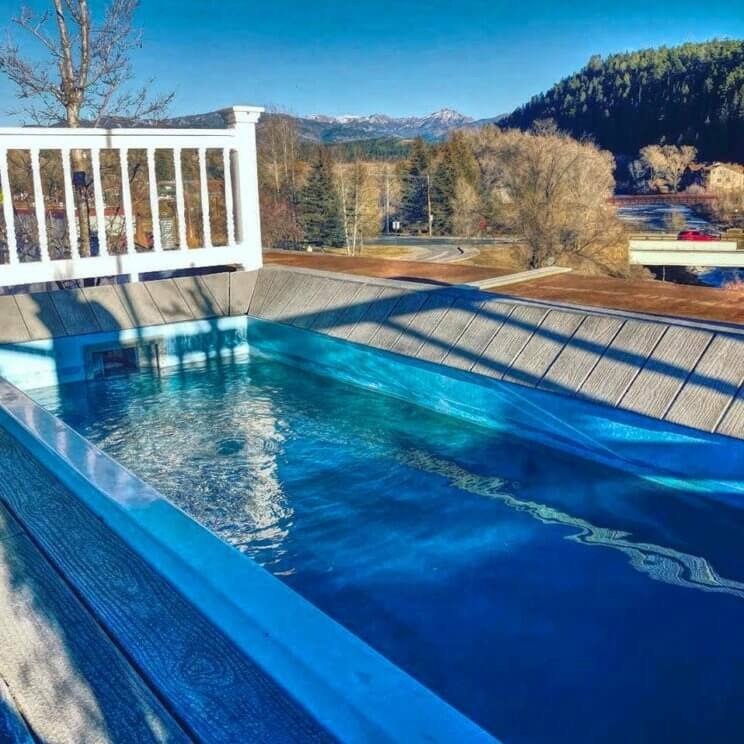 Overlook Hot Springs is located in Pagosa Springs, Colorado and features a Victorian ambience as healing waters surround you in three scenic rooftop tubs or in one of five indoor pools. For something special, reserve their exclusive and completely private tub room. Overlook Hot Springs is located at 432 Pagosa St, Pagosa Springs, CO 81147. 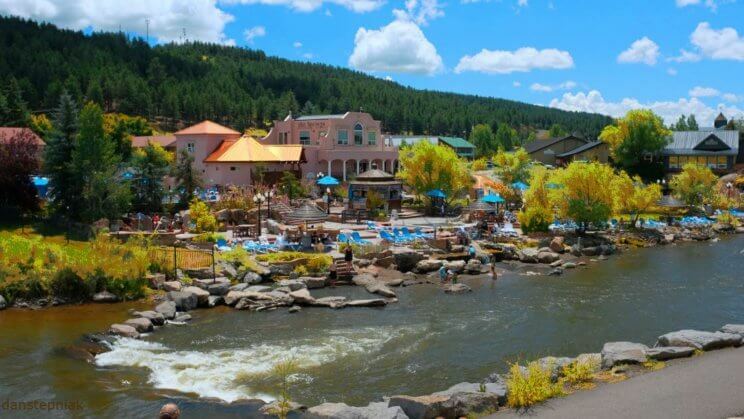 The Springs Resort & Spa offers 23 hot-spring soaking tubs on the banks of the San Juan River in downtown Pagosa Springs, fed by the world’s deepest geothermal hot spring with temperatures ranging from 87 to 114 degrees. The Springs Resort & Spa is located at 165 Hot Springs Blvd, Pagosa Springs, CO 81147. 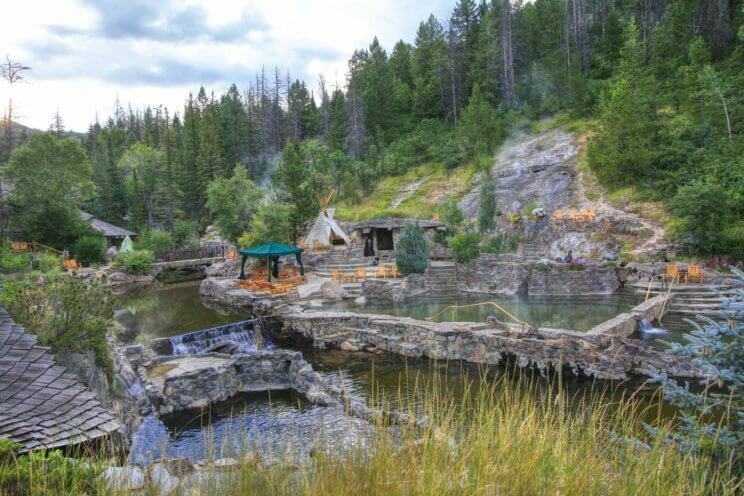 Strawberry Park Hot Springs is situated just outside of Steamboat Springs and nestled alongside Hot Springs Creek lies one of the most spectacular mineral springs in the world. Imagine relaxing in 104 degree mineral water while Steamboat’s famous Champagne Powder gently collects in the surrounding forest. Enjoy a massage in one of the beautiful private massage huts or a Watsu therapy in their private pool. Strawberry Park Hot Springs is located at 44200 Co Rd 36, Steamboat Springs, CO 80487. 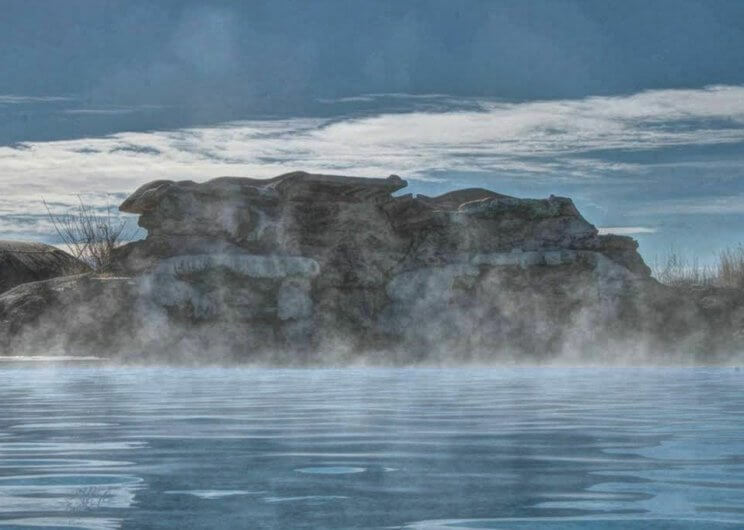 Psst… For more hot springs check out Visit Colorado’s ‘30 Hot Springs: A Quick Guide‘! Ohhh hot springs! Avalanche Ranch is also a great one.